CRAPTASTIC: Five Feature Friday #11! Sorry for the poor picture quality - I snapped these on the DL with my phone! I took pictures because I plan on making these myself soon! They were cute, but pricey. It'll be much cheaper to make them myself! I also made another Owl iPhone cover like this one! This one is thicker and done nicer! I love it! Soooo - onto the features!! 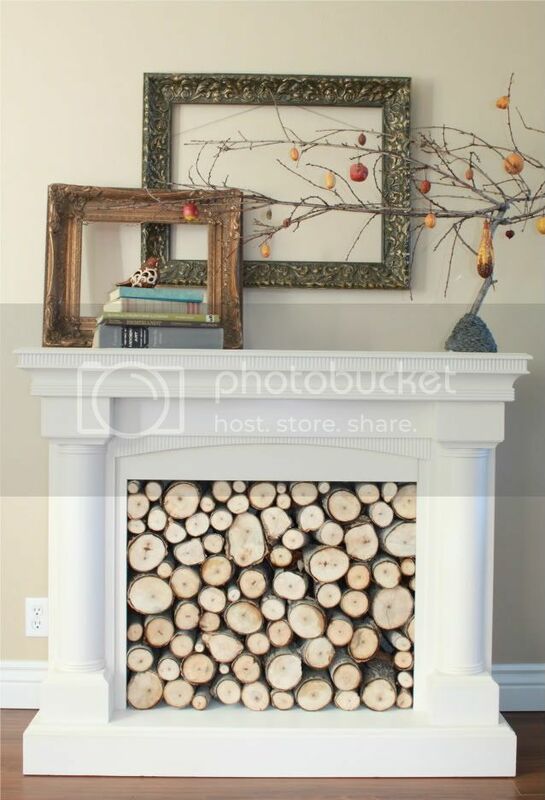 My jaw dropped when I saw this fireplace from The Rooster and The Hen. All of the logs are from part of a tree they trimmed in the back yard. LOVE THIS! This retro birdie table from Embracing Change is so fun! I love the table style - the sweet little birdie just looks perfect on it! Not to mention that wonderful color! life We Live 4 did such a great job on this buffet! The color is gorgeous and the glaze makes the details look even better! I love how this turned out! 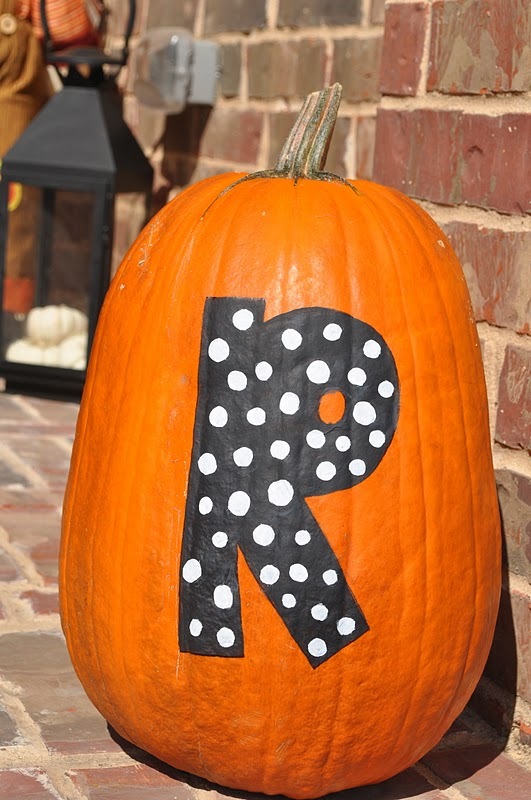 The polka dot letter on this pumpkin from A Lived In Home is so flipping cute! I'm crazy over polka dots right now, and it looks so cute on the pumpkin! I'm drooling over this dresser from Petticoat Junktion!! It looks AMAZING with the white peeking through! Isn't this color so fun! Thanks so much for the feature, love your stuff! i also looove that birdie cabinet! and your owl! and i am off to petticoat junction- hello hot pinkness! My goodness you've been busy! Love the cabinet that you are showcasing too. Would be perfect for kiddo's toys. Great features! I would take every one of them plus a little birdie cellphone cover! I love that little birdie table ! !